MPs on the list all represent key battleground ridings in B.C. and Ontario. Nineteen of the top 20 MPs who charged taxpayers the most for bulk mailings belong to the Conservative Party, according to a report released by the Board of Internal Economy. The report published Monday outlines expenditures billed to taxpayers during the first quarter of the 2015-2016 year. Government House leader Peter Van Loan topped the list, spending $11,892.19 on "ten percenters" in a three-month period between April 1 and June 30. 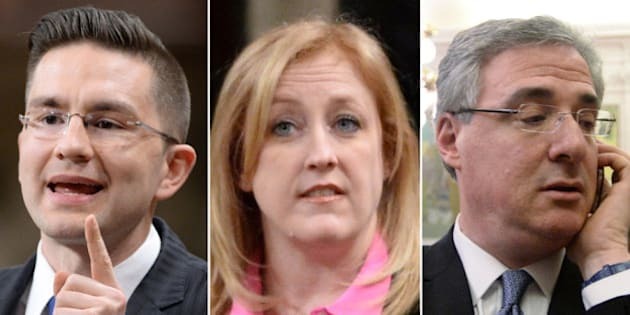 Two Conservative cabinet ministers, Lisa Raitt and Gary Goodyear, rounded out the top three who charged the most for mailings. NDP Mike Sullivan was the only non-Conservative MP to make the list. The "ten percenters" are political mailouts sent by MPs to communicate to their constituents. They're called "ten percenters" because their reach is capped at 10 per cent of total households within a MP's riding. The materials are often used to fuel attack campaigns against political rivals. "Ten percenters" are different from "householder" pamphlets, which are used to inform constituents of parliamentary activities and issues. Both are funded by the House budget under "printing" costs. MPs on the "Top 20" list all represent key battleground ridings in B.C. and Ontario. Earlier this year, nine Conservative MPs found themselves in hot water after charging thousands for partisan mailouts. The cases were flagged over the use of QR codes on the mailings — but there are no explicit bylaws that prohibit the use of the barcodes. The mailouts have been a source of controversy for years. In 2010, Dimitri Soudas, then a spokesman for the Prime Minister's Office, said the Conservatives endorsed the end of the "ten percenters" program. "We support getting rid of out-of-riding 10 percenters so long as the restriction applies to all parties," Soudas said at the time. The Board of Internal Economy eventually banned the distribution of "ten percenters" outside a MP's riding. Three years later, Tory leader Stephen Harper defended the use of public money to fund partisan bulk-mail campaigns attacking Liberal Leader Justin Trudeau. Several Tories made headlines in the same year after they refused to send the anti-Trudeau mailouts to their constituents.